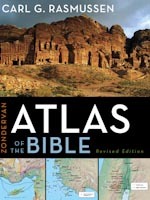 All the pictures that were used in my atlas —Zondervan Atlas of the Bible are now available on this website. Please click on the left column to the images from the various sections and chapters in the Atlas. To use the images for commercial purposes, please contact me at HolyLandPhotos@comcast.net.